At Web Presence Group, we offer expertise in ecommerce SEO and website optimization services. 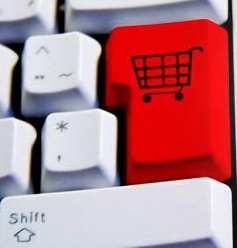 Our team of experts offers a high degree of experience optimizing ecommerce sites for virtually all types of e-retails. Our resources and experience in ecommerce SEO and Internet marketing showcase an arsenal of capabilities. From small business online shopping carts to large online stores, we provide custom ecommerce SEO packages for a number of different needs. Building an organic SEO campaign for an ecommerce site can offer one of the greatest investments for any e-retailer. Ecommerce search engine optimization provides a targeted, cost-effective means to capture in-market users who are seeking the products that you have to offer. We often combine ecommerce SEO with other strategies and Internet marketing channels, including PPC advertising, email marketing, and social media integration. At Web Presence Group, we have powerful resources and experienced skill-sets in organic SEO for ecommerce sites. As part of our ecommerce SEO programs, we offer strategies that include link building, SEO copywriting, content marketing, and on-site conversion optimization. We develop campaigns with a big-picture approach, and our SEO services go beyond simply driving traffic to your ecommerce store. We focus on post-click activity that promotes greater conversions after users land on your site. The focus of ecommerce website optimization seeks to enhance the on-site usability and overall conversion potential of the site. For almost any online retailer, it is essential to present products, categories, information, and content both clearly and intuitively. In accordance to the overall conversion optimization strategy, proper placement of value-driven content, such as product videos, images, and reviews must be strategically integrated. In addition, the layout must include the right design elements, such as call to action buttons, product menus, and graphics. Building a highly cohesive ecommerce site is imperative for success. Our services and expertise in ecommerce website optimization can help. Here at Web Presence Group, we offer most of our services in ecommerce website optimization and SEO through our partner company ClickCentric SEO. As the ecommerce arm of our complete service offering, ClickCentric SEO focuses primarily on ecommerce solutions, with an emphasis in Internet marketing and ecommerce search engine optimization. Together, we create conversion-oriented ecommerce SEO and website optimization strategies that promote ongoing grow and success for your business.